I have the highest esteem for Pretty Nostalgic and have never wavered in my cordial appreciation of its general good-eggishness. The quality of writing is absolutely top notch, with the various contributors unquestionably wielding gifted pens, and cameras, and all manner of other inanimate objects. So when your favourite protagonist was asked to write a little something for the January/February edition of this fine publication, I was absolutely tickled pink and responded in my usual affable key. 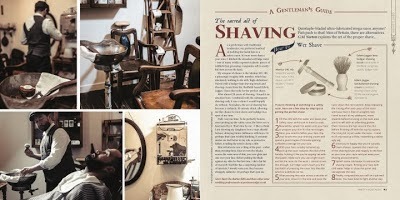 There are many things to love when you are fortunate enough to write for a printed publication. Obviously, it is a truly magnificent feeling when you catch sight of the physical magazine and get to hold it in your hands for the first time. I am also one of those oddballs that rather enjoys the thrill of a looming deadline. 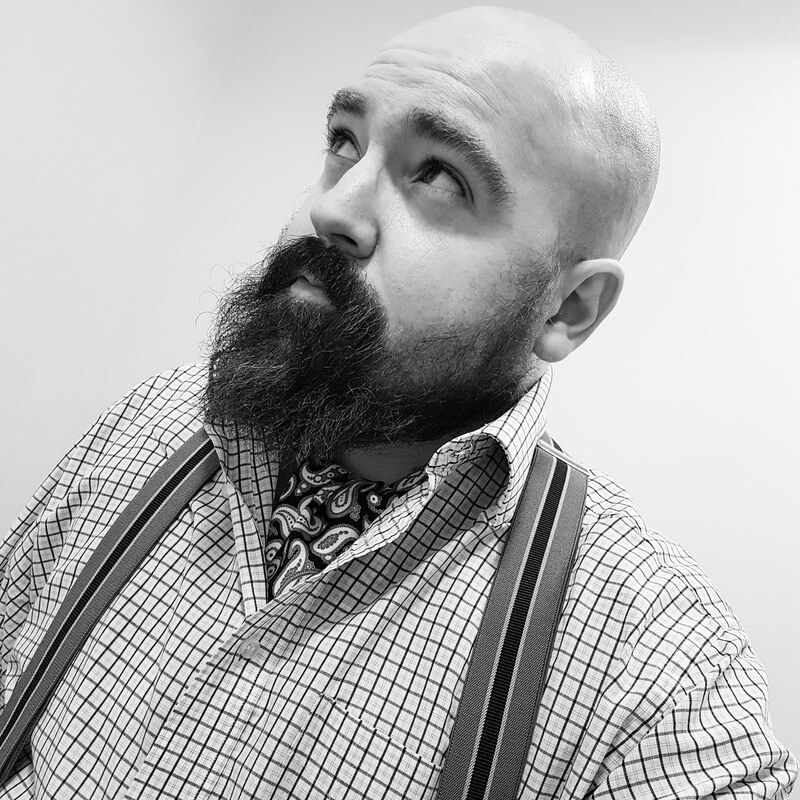 When one is faced with a deadline, the natural course of action is to strip off the old tweed jacket, roll up the shirtsleeves, square the knot in your tie, and have a frightfully good bash at it. So that’s just what I did. Thankfully, the words soon came pouring out like golden syrup. I think it is fair to say that my most commented on feature is my face furniture, so what finer subject to share with the Pretty Nostalgic readership than this? After all, with a brand new year upon us, surely chaps of the world are ready to make the most momentous of decisions and grow a great whopping nose neighbour. They need my assistance. 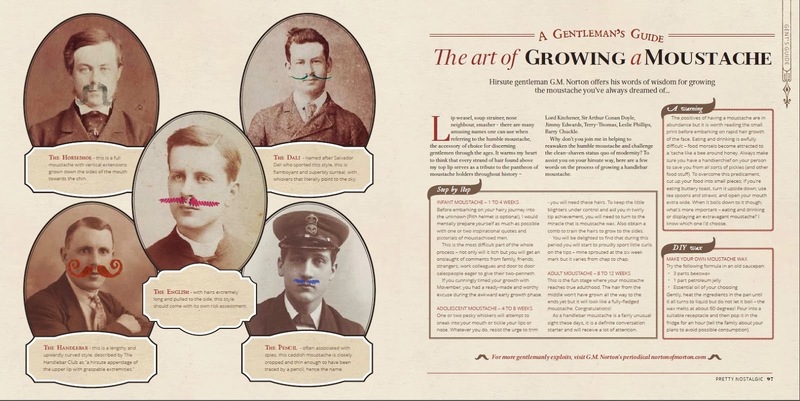 Ladies and gentleman, it is with delight that I now present to you my latest guide, ‘The art of growing a moustache’. I may be biased but I would thoroughly recommend Pretty Nostalgic to you. I am a proud subscriber. Why don’t you join the fabled ranks in support of a truly independent magazine and click ‘Subscribe’? Terribly kind, dear lady! It is a wonderful feeling, I must confess. But it only increases your desire to see more of your words in print.